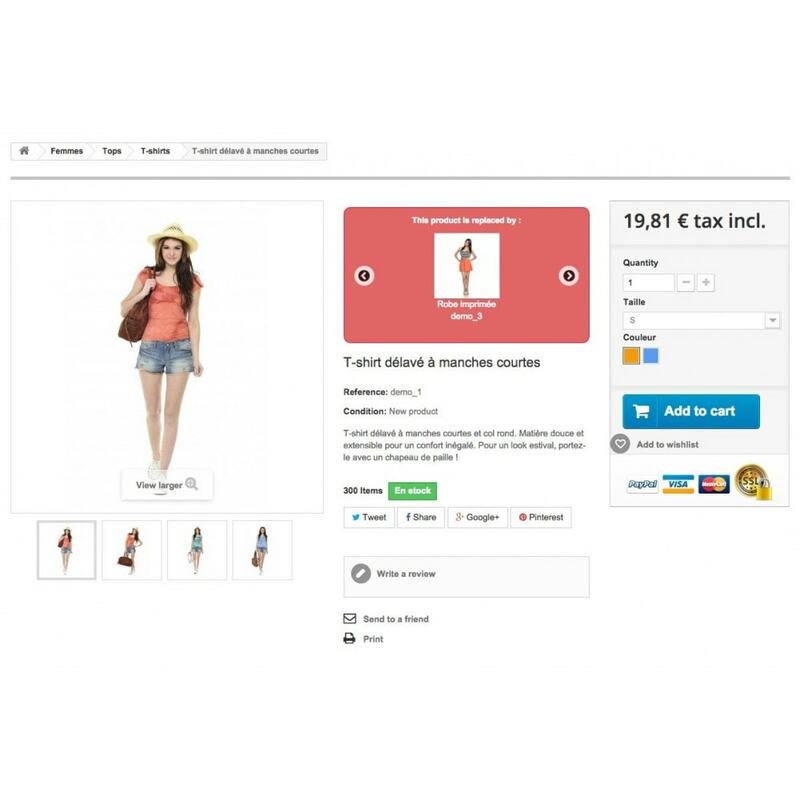 This module offers a crosselling or replace products for each item in your store. Using simple, intuitive and customizable. 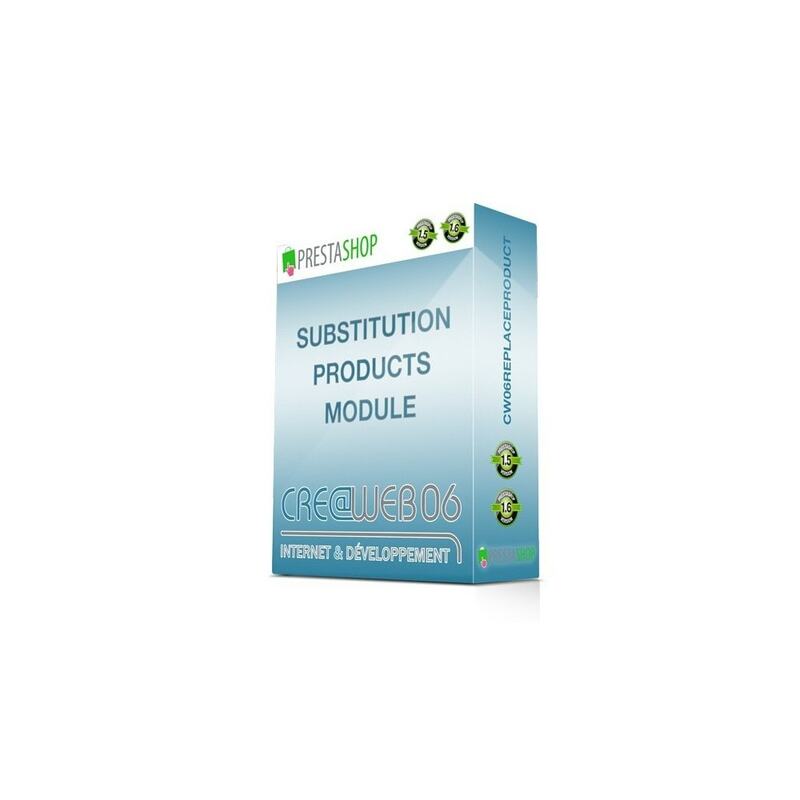 This module allows you to view alternative products, or even to offer cross-selling products (other brands, etc ...). This will allow you to maintain the referencing of your page, a real advantage in terms of SEO. You have the opportunity to propose alternatives on each product . 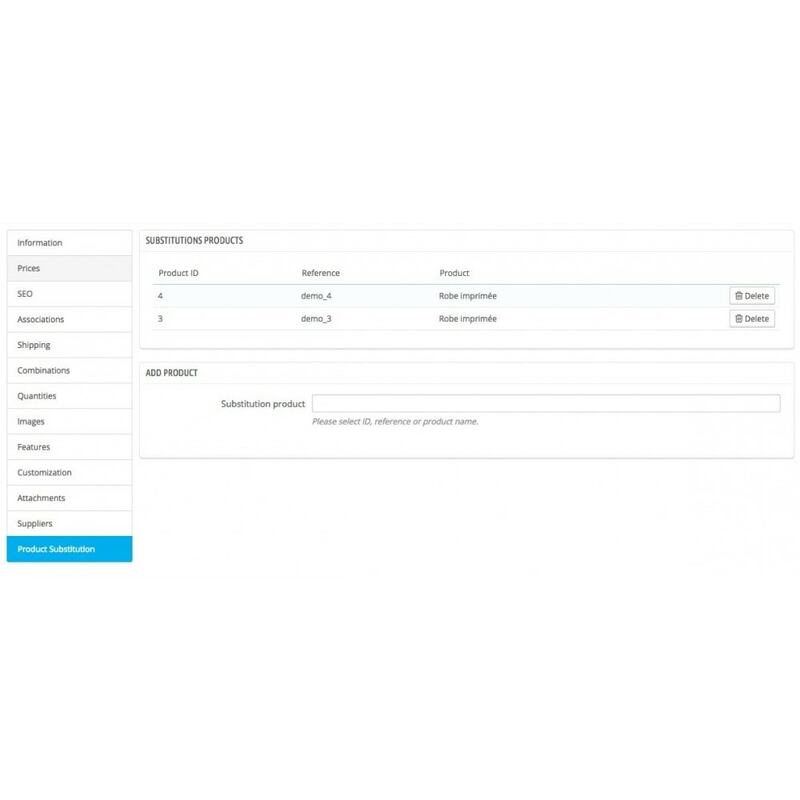 Configurable from the BackOffice, in the management of each product. The catchphrase is customizable, you can choose whether to display the reference, the image and/or the product name . You can choose the background color, text color, border color and border radius.